Barbados School Netball Tours: Barbados is one of those iconic destinations that can conjure up a picture in your head without you actually having been there. Yes that’s right, azure blue sea, white sand and palm trees. The reassuring thing when you get there is that you were right all along because that is indeed what it is like! 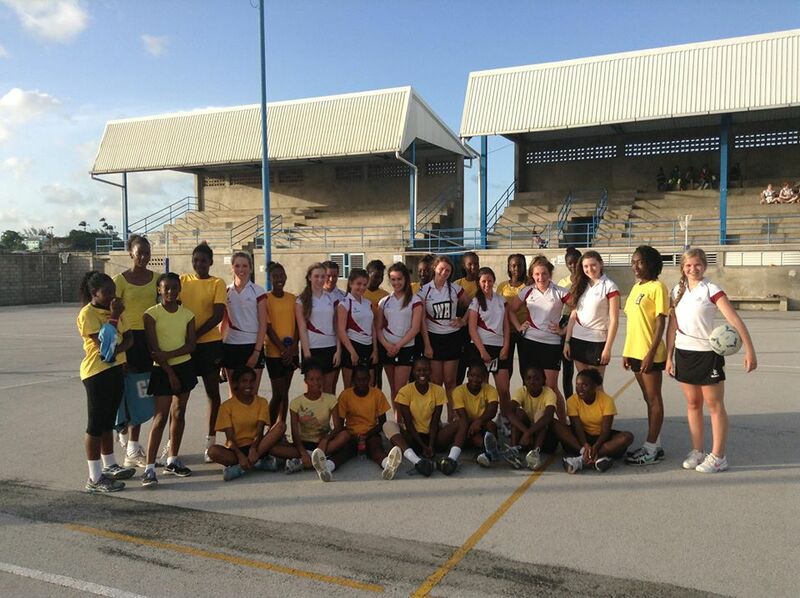 Why take my school netball tours to Barbados? There is something particularly appealing about the opportunity to go and play sport in such a glamorous destination. Barbados sports tours take advantage of its ‘Commonwealth’ sporting heritage which means that if you are thinking about a school netball tour to Barbados then you are going to enjoy real competition that other long haul destinations struggle to match. Over the years another consistent theme has been the warm, friendly and relaxed atmosphere that has immediately put party leaders at ease. Dominic our Bajan destination manager has been escorting sports tours for 15 years and he knows the island and its inhabitants inside out. 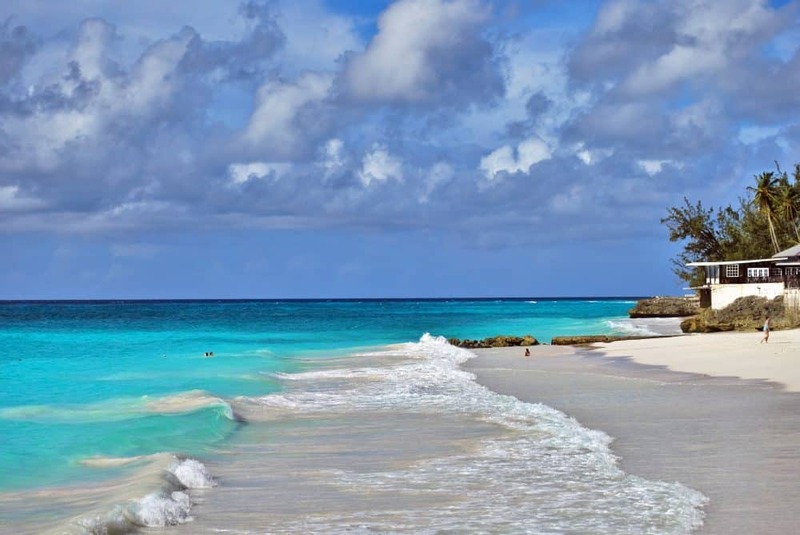 Our philosophy is that if you are going to do Barbados then do it right… so you need to get under the skin of what the island is all about and our intimate local knowledge will help you discover the island and create memories that only happen in Barbados. School Netball Tours Barbados: Where are the best places to stay? The warm, friendly and relaxed atmosphere on Barbados immediately puts party leaders at ease. A Tropical haven where turquoise sea, edges the vast sweep of pristine white sand of Worthing Beach. This comfortable and restful hotel boasts 32 newly built rooms exquisitely furnished with Studios, Two-Bedroom, One-Bedroom and One-Bedroom Suites. All rooms include kitchenette, air-condition, private bath and balconies overlooking the Caribbean Sea. A restaurant, fitness centre and novelty shop, combined with warm hospitality and lively water sports, all add to the charm of the hotel. Depart from UK airport bound for the shores of Barbados. Your group will be met on arrival by your activ4 Bajan Ambassador who will accompany you for the duration of your stay and transfer you to your accommodation. 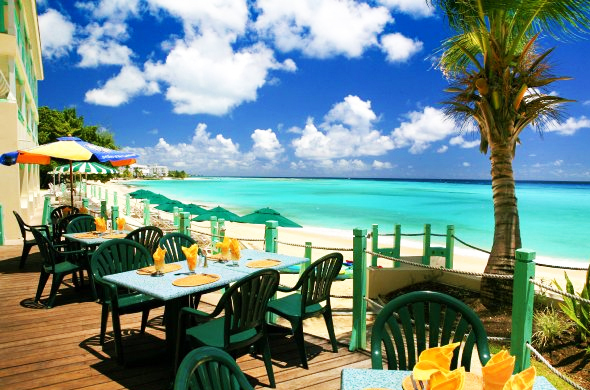 The Blue Orchids Beach Hotel is a charming family run hotel located on a magnificent stretch of white sanded beach on the popular south coast of the island in Worthing. Teams usually can’t resist hitting the beach before dinner on the first night. Each day will start with breakfast at the hotel, your tour director will meet with you to answer any questions that you may have. The hotel is in a very laid back, friendly area where you can take a leisurely stroll before heading back for lunch. Then head straight over to the beach for a relaxing swim before preparing for today’s games. Your evening meals will be taken in local restaurants which will provide a good variety of meals. Start the day with a full breakfast before stepping out onto the beach for an early morning swim and a light training session. Get your fitness levels up by jogging along the seashore as your next matches are scheduled today. Following all the action and excitement you will be more than ready to sit down and enjoy your evening meal. It’s time for your Island Safari trip. Step into one of the comfortable safari rigged Land Rovers and prepare yourself for the Island Tour of your life! Island Safari shows you the island like no one else can, taking you to some of the most beautiful places on the island, places inaccessible to others but no problem with the 4 x 4 Safari Land Rovers. Along the way, the professional guides will keep you entertained and informed as they share their folklore, culture, history of the island along with some astounding photo opportunities. While on safari you will experience both on and off the beaten track, coastal views and visit many hidden secrets of the magnificent island that the first settlers would have encountered. It will truly be a day of adventure and exploration. Venture out for an early morning swim. Make the most of your surroundings by taking a couple of balls over to the beach and setting up some beach games – if you’re lucky you may even find some locals wanting to participate! Get some pre match preparation going and discuss team tactics as today your second games are scheduled where you will hopefully put in another good performance! The matches are carefully arranged and evenly matched to ensure good competition. Following all the action and excitement you will be more than ready to sit down and enjoy your evening meal. After dinner you can settle down for a quiz night, activ4 provide the quiz, you provide the prize! Today you set out for a fabulous day cruising around the island on a Catamaran. Enjoy the wonderful scenery and tranquil ambiance of the sea and take the once in a life time opportunity to swim with sea turtles. There will be a buffet lunch on a secluded beach and in the afternoon your group can snorkel around a beautiful coral reef. After this exhilarating day you will head back for an evening of beach games! This morning you may decide to head out to the nation’s capital Bridgetown for some duty free shopping! Treat yourselves with some local produce and a few souvenirs to take home with you before your penultimate games. Hopefully the practice and experience from matches earlier in the tour will have paid off and you can all get together for a celebratory dinner at the hotel! As it’s the last night, get together for your tour awards ceremony. Unfortunately all good things come to an end and today you return to the UK. After breakfast it’s time to check out but there may be enough time for some last minute shopping or a swim before you head out. Our coach will transfer you to the airport as you wave goodbye to Barbados! Be first to know about our offers, resort news and new trips and tours.